Guest Blogger: Paul Beel, J. Stockard Pro Tyer and owner of FrankenFly. I had a chance to tie with and test out Nature’s Spirit’s Barred Variant Strung Schlappen recently and here are my thoughts. 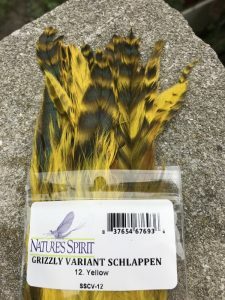 The barred schlappen from Nature’s Spirit comes in a package with a decent bundle of feathers. The feathers are brilliantly barred and made quite an impact when I first opened the package. The feathers are long and in excellent shape. For testing purposes, I used two feathers and made a tail from them on a large articulated streamer (pictured below). These feathers work perfectly for this type of application, and you could also easily take the feather and wrap it around the shank of the hook to form a collar or palmer it across a body to make a full body of a streamer. It was easy to see these feathers would look terrific in the water and they did. The webby fibers flow great in the water. You need to keep in mind that with the barring, comes a higher price. You can get regular schlappen feathers without the barring for less. However, I believe that various colors on a streamer will attract fish so I think the barring can make a significant difference. To summarize, I think Nature’s Spirit has a quality product in their Barred Variant Strung Schlappen. 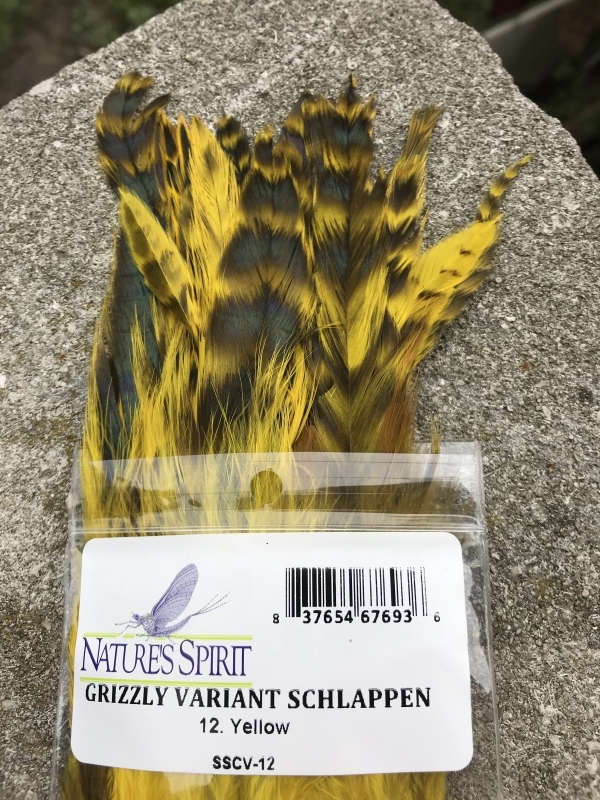 I would definitely recommend these if you are in the market for barred schlappen feathers. 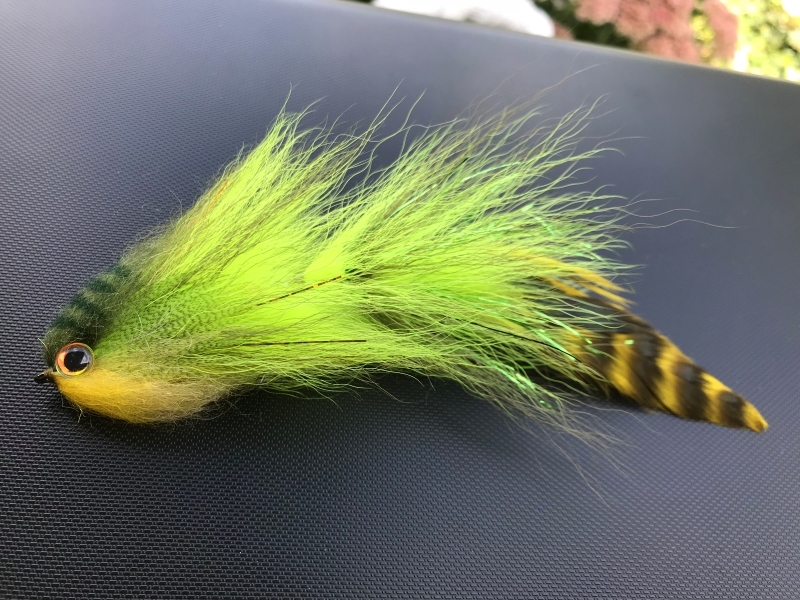 This entry was posted in Fly Tying Materials & Supplies, Our Regular Contributors, Paul Beel, Frankenfly and tagged fly fishing, fly tying, fly tying materials on October 29, 2018 by Paul J. Beel.